Complete the form with the address and phone number where IP transit is required. Why IP transit Tier 1 IP transit? Whether you are an enterprise with large offices, a financial services company, a technology company, an ISP, a cloud service carrier or a National Research and Educational Network (NREN), you can benefit from our IP transit service. Powered by the world’s leading IP transit carriers, our service helps you connect your network to a Tier 1 IP network provider. By accessing a Tier 1 carrier network, you seamlessly become part of the global Internet with access to the full Internet routing table. A partial list of cities with PoPs is provided at the bottom of the page. As top tier network providers, our carrier partners offer a lot of value to clients around the world. In addition to each individual provider having an expansive global network, their networks are peered together to give a seamless global network. Top tier network providers’ data run on all optical fiber networks with a limited number of hops. This guarantees low latency IP transit for applications such as voice, banking and other latency sensitive applications. All providers offer services with guaranteed quality of service (QoS). Each of our providers offer network redundancy or alternative paths on their networks. This means that in the event of a catastrophic failure caused by a cable break or other events, your IP transit traffic is seamlessly routed through an alternative path. Our providers are connected to major data centers around the world. In addition to offering easy access to their networks, they also have easy access to all major content distribution networks (CDNs), over the top (OTT) providers and the private cloud. Whether you or your clients want to access Amazon Cloud Services, Microsoft Azure, Google Cloud Platform or any other cloud services, our providers easily let you do just that. Our providers run on both IPv4 and IPv6. If you are an ISP, you want to ensure that your IP transit network provider has IPv6. IPv4 will soon be obsolete and you want to ensure that you will not run out of IP addresses when that happens. When shopping for an IP transit provider, IPv6 is one thing you must look out for. We are a one stop source for IP transit solutions, and we partner with most major providers. You can leave the daunting task of checking with multiple providers for a suitable solution. We have easy access to them and can get you the information or RFQ responses in a breeze. Our carrier partners have millions of combined route kilometers of optical fiber around the globe. This means a wide global coverage options for you to choose from. Whether you want to connect locations in Honolulu, Mombasa, New York, Canterbury, Christ Church or thousands of other locations around the globe, we have you covered. Our partners have tens of thousands of combined points of presence (PoPs). While each of our providers have bandwidth flexibility owing to the beauty of carrier Ethernet they use, we offer even greater flexibility by selecting from all their services for our clients. We endeavor for find you port speeds ranging from 10 Mbps to as high as 100 000 Mbps for your IP transit solution. Because FiberGuide partners with most Tier 1 network providers, we are in a strong position to negotiate prices that our clients cannot negotiate on their own. We typically provide at least two quotations from different providers. That said, it is important that you provide us with technical details of your requirements so that we can recommend the most appropriate solution and quote accordingly. 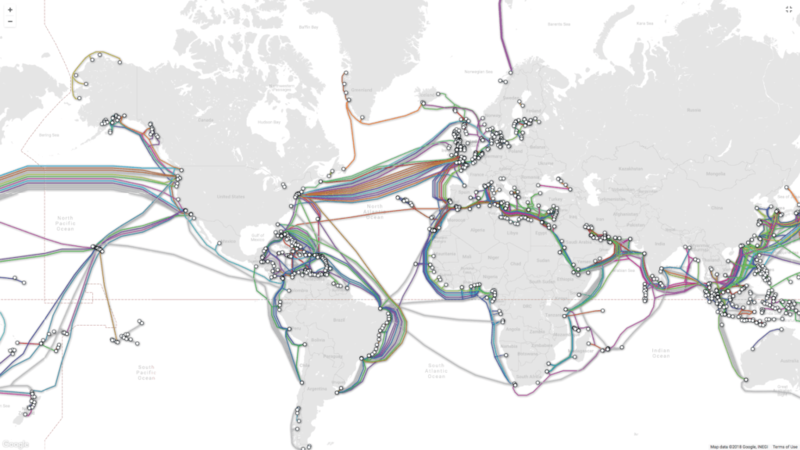 In addition to specifications, a provider may be best suited to provide connectivity in one geographical region but may not be the best in another. What is the preferred interface (Fast Ethernet, Gigabit Ethernet, 10Gigabit Ethernet, 100Gigabit Ethernet…)? How much initial bandwidth is required? What is the geographical location where a connection is required? What is the network availability requirement (typically 99.9% to 99.999%)? Is there a roundtrip latency requirement? Is there an average jitter requirement? Is there a packet loss requirement? An IP transit provider delivers a client’s IP traffic to the Internet. In other words, your traffic “transits” through the provider’s network to the Internet. Any eligible entity has the option to purchase transit from any provider whether it is Tier 1 or Tier 2. Notwithstanding the advantages of buying transit directly from Tier 1 providers, some entities prefer Tier 2 providers for a number of reasons and cost is the one that is most frequently cited. Tier 3 ISPs purchase their Internet transit from Tier 2 providers and Tier 2 providers, in addition to peering with other Tier 2 ISPs, can purchase transit from Tier 1 providers.